Check the Speaking Engagements category to find out where the next “Essential Estate Planning” Seminar will be held. Our seminar on “Essential Estate Planning” will help you to avoid unhappy results in the event of your death or disability. Did you know that if you die without a Will your spouse will have to split your estate with your children? If you don’t have written advance medical directives your family will have to go to Court before they can make medical decisions for you? That a Living Will is different from DNR orders. 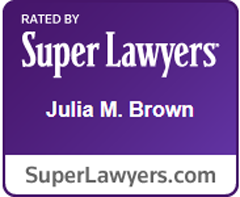 All seminars are given by Attorney Julia M. Brown, C.E.L.A.at no charge to attendees.